We started to notice them during our second day in the Helsingør marina — huge black and grey jackdaws — flying around the top of mast. That evening, the first big branch fell on the deck. And then a second. We thought they must be building a nest somewhere. We never thought of looking up. The next morning, a couple from another boat passed by and asked “have you noticed that you have a huge bird’s nest at the top of your mast?” Needless to say, we had not noticed! 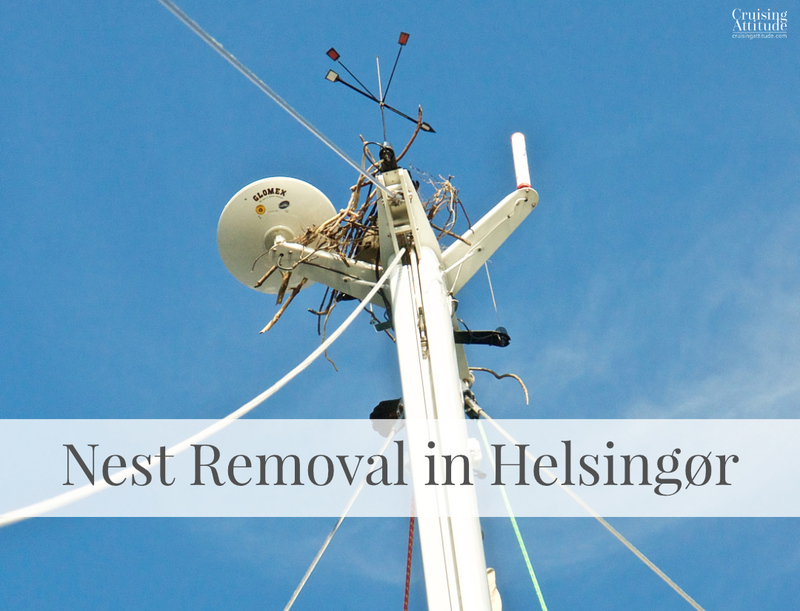 Removing a huge bird nest – not as easy as it seems! The nest was not easy to remove! First of all, you’re 24 meters in the air, suspended by a slim rope, and secondly, the branches were really quite woven together. 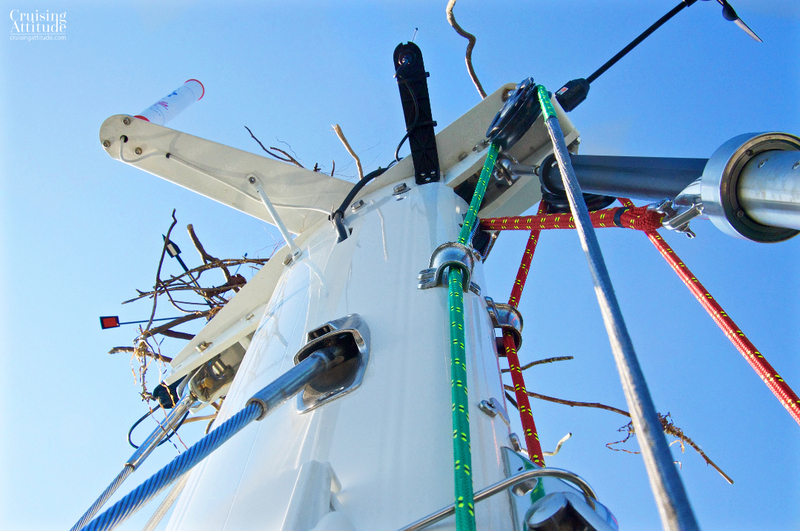 Jacques had to take it apart, branch by branch or risk damaging the delicate wind indicator that you see on the left side of the above photo. Not a fun job! A leak on a boat can make any boat owner anxious. Fortunately, this one was at least of the fresh water variety, meaning that it came from inside the boat – not outside (the first thing you do is taste it to find out). The leak was showing up as a thin stream of water going into the bilge, but not all the time, which made it puzzling. After two weeks we finally traced it to the washing machine. The installer had not screwed the intake hose to the cold water supply tightly enough, so water was gushing out with every wash.
Jacques is sitting on the washing machine, located under the navigation table seating. The access to the machine is in the shower, which is behind the nav station seat. Thanks to the enormous storage space in our boat’s workshop, we had all of the tools and products we needed to take care of the problem. A Swiss Army knife always comes in handy as well. 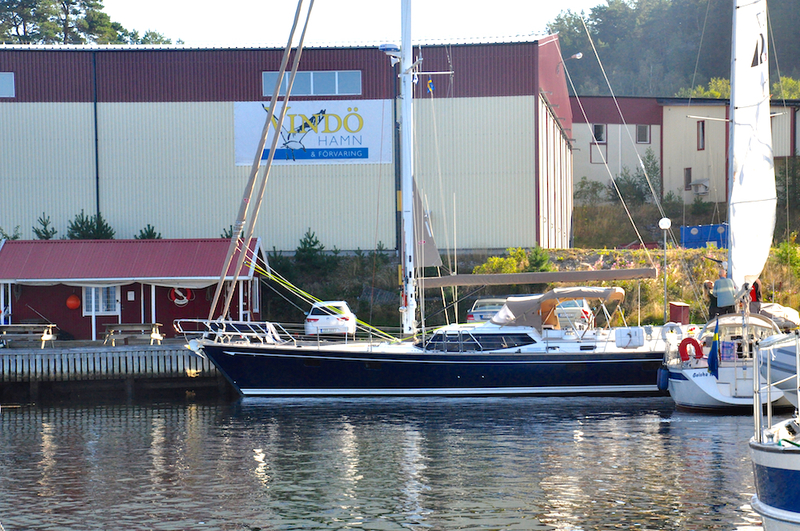 Freja is now at Adams Boatcare in Sweden. She’ll soon be de-masted, hoisted onto land, and then put to bed in a huge, heated boat shed. We’ll start the 2016 season sometime in April, after the long Swedish winter is over. 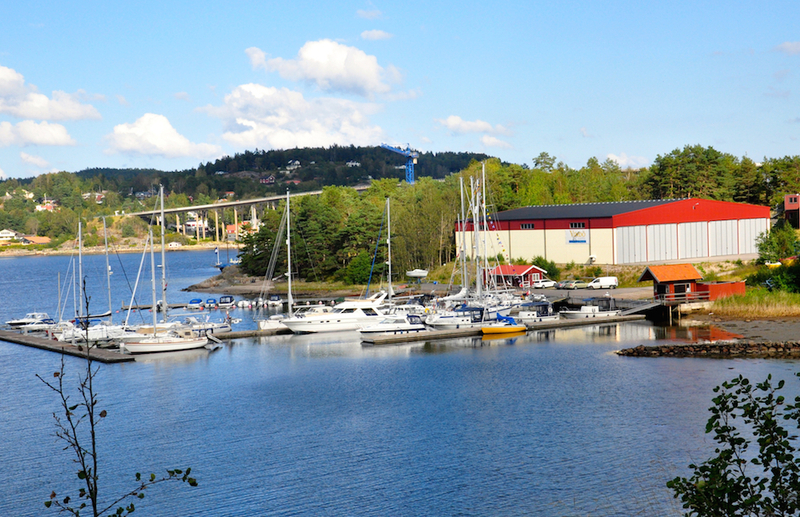 Adams Boatcare is located on Vindö, (Orust) on Sweden’s beautiful northwest coast. 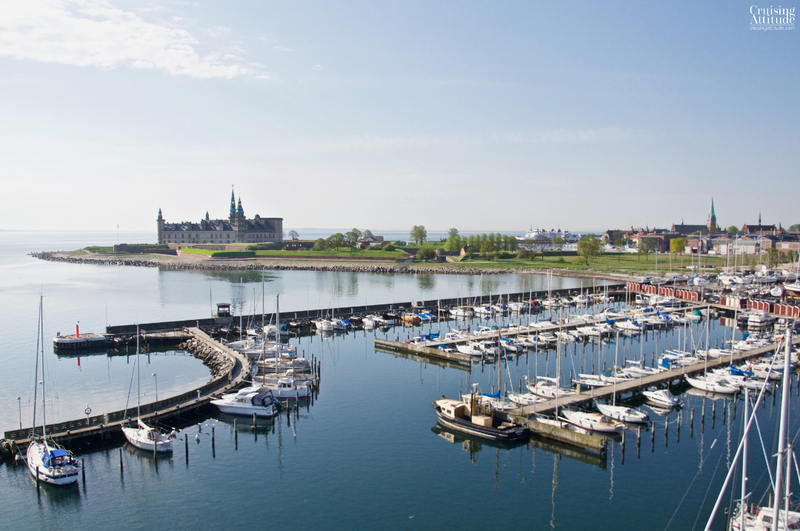 Orust has been know for many years as “the boatbuilding island”, home to Hallberg-Rassy, Malö Yachts, Najad, the former Sweden Yachts, and the former Vindö Yachts and Regina af Vindö. We actually visited this area back in 2011 on a motorcycle trip, just to dream and admire the boats. We never would have dreamed that we would have a sailboat here just 4 years later. Jovial Carl Adams and the warm and always smiling Anna Friberg are parters in business as well as in life. They were recently given the opportunity to rent the former Regina af Vindö yard. It came complete with all of the modern woodworking machines and painting/varnishing/fibreglassing facilities used to build the Reginas as well as a huge amount of heated boat storage space. We had the opportunity to tour the premises during their Crayfish party in September, and it is wonderful. 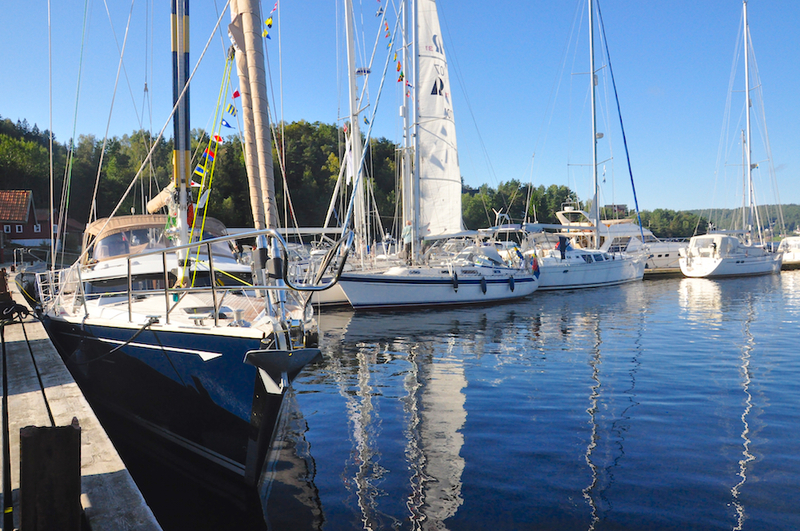 Carl and Anna were both employees of the famous Swedish sailboat builder Hallberg-Rassy. 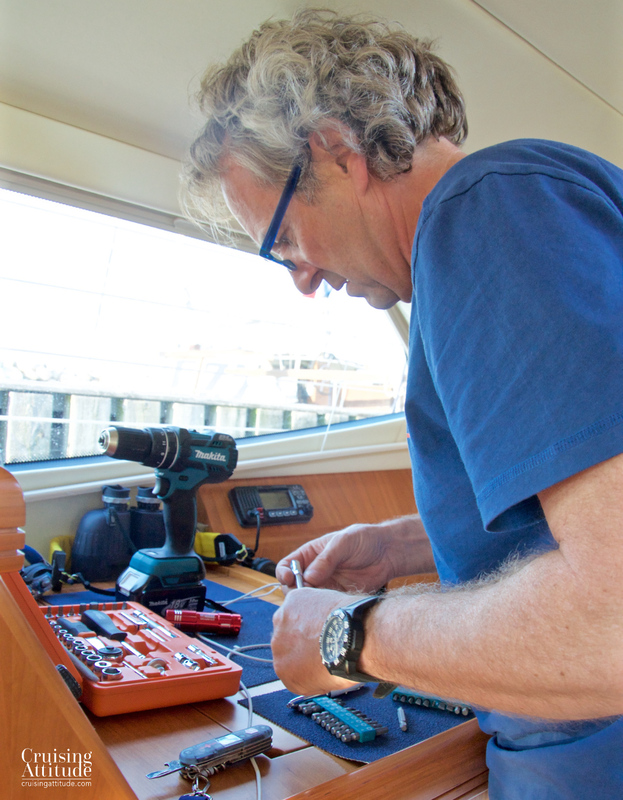 When they decided to strike out on their own a few years ago and build a network of individual specialists dedicated to re-fitting and customising boats, Adams Boatcare was born. Anna is a magician with anything made of wood, and Carl does just about anything, having rotated through a number of different posts at H-R. He also attended the most prestigious boat-building school in the U.K.
After seeing up-close the fabulous re-fit they did with HR-46 Regina Laska and then meeting with them last year, we decided that Freja would definitely spend the next few winters in Sweden. 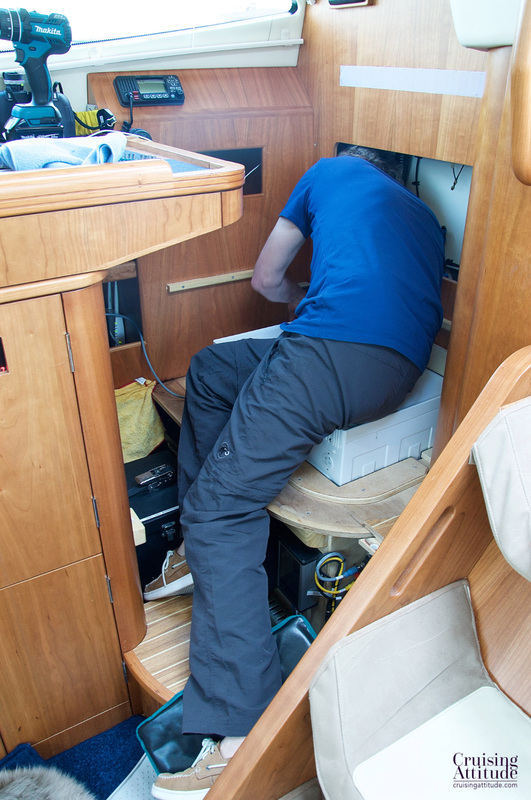 Even though Freja is a brand-new boat (launched last July 7), we do have a short list of things we just never thought of asking for while the boat was still in build at Discovery. It takes some time cruising and living on the boat to come up with ideas that make cruising or just living on the boat easier. propose and create a good way to store our wine and champagne glasses (we are wine producers, so both excellent wine and wine glasses are important! install a folding swim ladder that an MOB can easily unfold and use while in the water. The existing one can be cut and hinges soldered on, according to Carl. create a “wine cellar” in the storage area under the galley sole in front of the refrigerator. install a small fan underneath the saloon seating to keep objects stored under the seating well-ventilated. 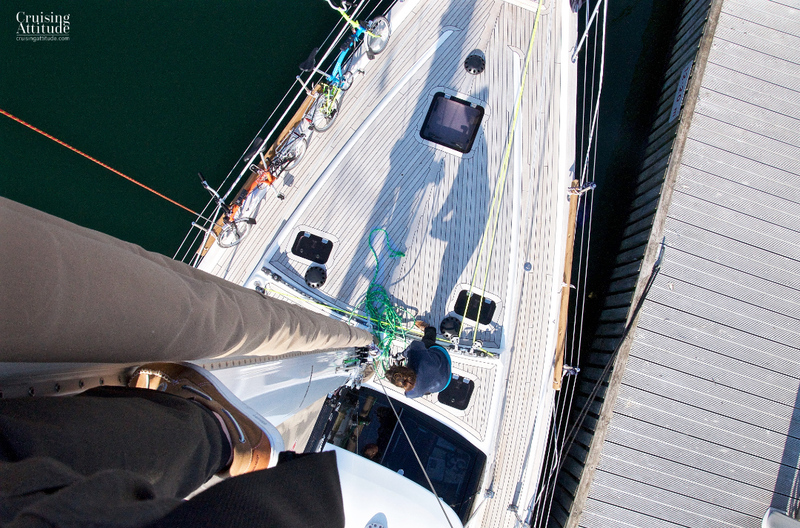 install a spinnaker halyard guide so the halyard doesn’t get wrapped in the foil for the inner forestay again. We’ll probably think of a few other things over the winter! Just up the road from Adams Boatcare. 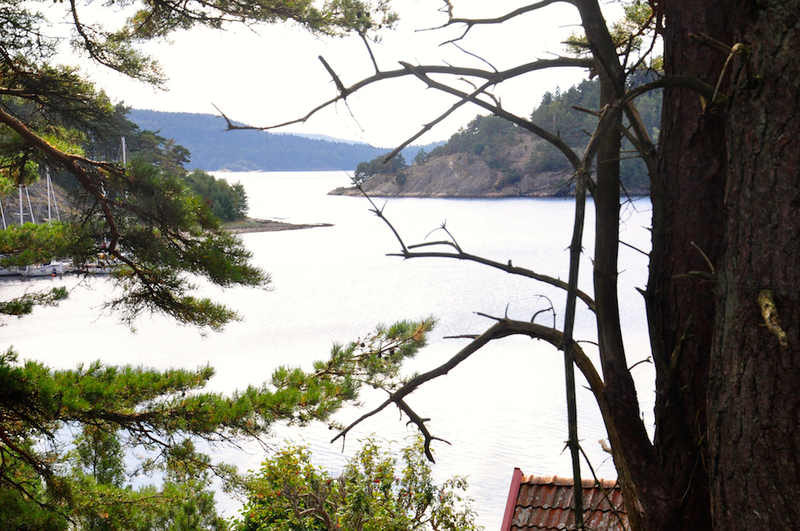 This is such a beautiful part of Sweden.